Joseph FISKE (1672 – 1745) was Alex’s 8th Great Grandfather; one of 512 in this generation of the Miller line. Joseph Fiske was born 14 Apr 1672 in Wenham Mass. His parents were William FISKE II and Sarah KILHAM. He married Susannah WARNER about 1693. He married his second wife, Mrs. Elizabeth Fuller on 7 Jan 1742/43. See Double Dates for an explanation why he didn’t remarry before Sarah died. Joseph died 2 May 1745 in Ipwich, Mass. Susannah Warner was born 3 Mar 1675/76 in Ipwich Mass. Her parents were John WARNER and Hannah BATCHELDER. Susannah died in July 1742. It appears there were two first cousins, Joseph Fiske’s daughter and William Fiske’s daughter, both named Ruth, born a couple years apart who both immigrated to New Brunswick. Many genealogies mix these two women up, but it’s not possible that the same woman was mother to both Richard Estey’s children and David Kilborne’s children, because they were born at the same time. It”s more likely that William Fiske’s daughter was our ancestor, but I’m including posts for both families. 22 Mar 1722/23 27 Sep 1764 Rowley, Mass. 10 Dec 1724 26 Dec 1729 Topsfield, Mass. 12 May 1698 – Susannah’s father, John Warner, conveyed his farm to Joseph. 1 Feb 1723/24 Joseph and Susannah Fiske sold to shopkeeper, Ammi R. Wise of Ipswich, one quarter of a right in the eighth division consisting of five acres and they sold some of the great meadow in the West End of Wenham consisting of five acres acres bounded southwesterly on land of Theophilus Fiske and Northwestly by Ebenezer Fiske. 7 Feb, 1723/24 they sold to Mr. Perley of Boxford 1 1/2 acres upland in Rowley 1/4 lot on the Range known by the letter C bound westerly and southerly by Perley’s meadow and easterly and northerly by their land. His daughter Susanna Kilborne, daughter Ruth Easty, and Grandson Mark Platts were to have four pounds old tenor “his mother having had considerable of me before.” Son Mark Fiske to be the executor and to have the residue. Joseph Fiske, third son of Dea. William, of Wenham, married Susan Warner, of Ipswich, to which place he removed about 1700. He had sons Joseph (died young) and Mark, and daughters Susanna, Sarah, Elizabeth, Ruth, and Abigail. By second wife, Elizabeth, married 1742, he had son John, who also died young. Joseph Fiske died in May, 1745. His executor and son Mark, born in 1716, married Lydia Smith in 1738, and had Lydia, Joseph (1741), Mark (1743), John (1746), and Susanna. Of these, Joseph was twice married, and had following — Eleanor, Joseph (1767), Benjamin (1768), Sarah, Lydia, Elizabeth, and Mark (1778). Some of this family were living in Ipswich as late as the beginning of the present century. Hannah’s husband James Platts was born 20 Apr 1696 in Rowley, Essex, Mass. James’ parents were Sgt. John Platts (1658 – 1752) and Judith Foster. (1664 – 1722) Hannah died on 28 Sep 1723 in Rowley when she was only 25 years old, perhaps due to childbirth complications. James remarried 25 Jun 1725 to Mercy Wheeler (30 Aug 1696 Newbury, Essex, Mass – 11 Nov 1753) Mercy’s parents were Nathan Wheeler and Rebecca Safford. James and Mercy had five more children born between 1726 and 1732. Susanna’s husband Jedediah Kilborne was born 20 Apr 1699 in Rowley, Essex, Mass. His parents were Samuel Kilburn (1656 – 1722) and Mary Foster (1662 – 1731). His brother David Kilburn married his wife’s sister Ruth Fiske. Jedediah died 4 Feb 1759 in Rowley, Essex, Mass. i. Sampson Kilbourne; b. ~1723 Rowley, Essex, Mass; d. 28 May 1761 Rowley; m. 15 Apr 1749 Rowley to Rebecca Pickard (b. 27 Dec 1724 Boxford, Essex, Mass. – d. Jul 1776 Rowley). Rebecca’s parents were Thomas Pickard (1691 – 1770) and Mehitable Dresser (1694 – 1793. Sampson and Rebecca had four children born between 1750 and 1760.
ii. Jedediah Kilbourne b. 15 Aug 1725 Rowley, Essex, Mass. ; d. 1820 Henniker, Merrimack, New Hampshire; m. 7 Nov 1749 in Rowley to his half cousin Hannah Platts (b. 1729 in Rowley) Hannah’s parents were James Platts and Mercy Wheeler (See above) Jedediah and Hannah had six children born between 1752 and 1768.
iii. Elizabeth Kilbourne b. 16 May 1732 Rowley, Essex, Mass. ; d. 1827; m. 10 Jun 1755 in Ipswich, Essex, Mass to John Adams (b. 12 Apr 1721 in Rowley – d. 28 Sep 1803 in New London, Sullivan, New Hampshire) John’s parents were John Adams (1684 -1750) and Sarah Pearson (1691 – 1781). John’s maternal grandparents were our ancestors Benjamin PEARSON and Hannah THURSTON. Elizabeth and John had five children born between 1756 and 1763.
iv. Abigail Kilborn b. 18 Nov 1733 Rowley, Essex, Mass. ; d. 19 Mar 1801 Amherst, Hillsborough, New Hampshire; m. 10 Mar 1760 in Danvers, Essex, Mass to Jonathan Smith, Esq. (b. 21 Feb 1735 in Woburn, Middlesex, Mass. – d. 1 Apr 1795 in Amherst, Hillsborough, New Hampshire) Jonathan’s parents were Walter Smith (1694 -1749) and Ruth Fuller (1693 – ) Abigail and Jonathan had three children born between 1761 and 1770. Their son, Jedediah Kilbourne Smith (wiki), was a senator and councillor in the New Hampshire legislature for many years, and served from 1807 to 1809 as a representative from New Hampshire in the United States congress. vi. Susannah Kilbourn b. 19 May 1737 Rowley, Essex, Mass. ; d. 25 Sep 1800 Farmington, Maine; m. 11 May 1763 in Rowley to Ephraim Cowen (b. 29 Sep 1737 in Dunstable, Middlesex, Mass. – d. 9 Jun 1797 in Farmington, Maine) Ephraim’s parents were Thomas Cowan (1700 – 1748) and Margaret Isted Istead (1711 – 1760). Susannah and Ephraim had six children born between 1764 and 1778.
vii?. Nathan Kilborn b. 21 Nov 1750 Rowley, Essex, Mass. 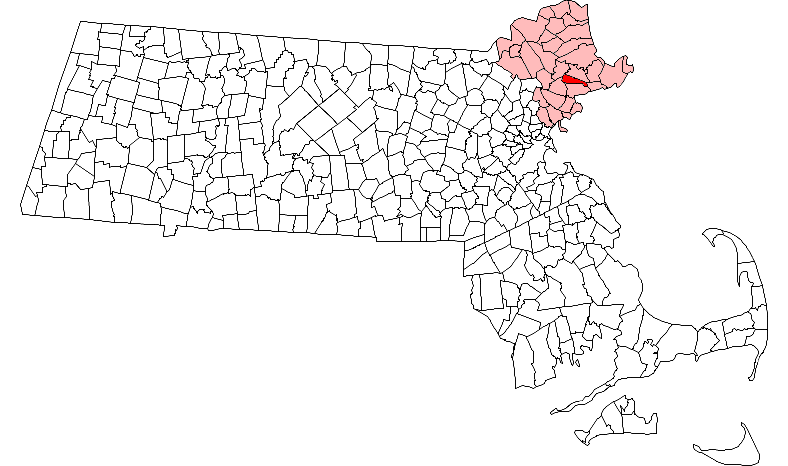 ; d. 1794 – Boscawen, Merrimack, NH ; m. 12 Jun 1777 in Newbury, Mass to Sarah Plumer (b. 22 Jan 1752 in Newbury) Nathan and Sarah had four children. I’m thinking that due to the 11 year gap with the next youngest child Hannah, Nathan was Jedediah’s grandson, son of Jedediah Jr.
Elizabeth’s husband Dr. Michael Dwinnel was born 5 Dec 1670 in Topsfield, Essex, Mass. His parents were Michael Dunnell and Mary Read. Genealogists have only been able to document five wives. He married his first wife, Hannah [__?__] , 27 Sep 1692 in Salem, Essex, Mass when he was 23. Michael and Hannah had eight children born between 1693 and 1719. He married his second wife, 2o year old Elizabeth Fiske, on 10 Dec 1724 in Wenham, Mass when he was 54 years old. On 1 Feb 1753 in Topsfield, Essex, Mass., he married his fifth wife, Mary Shaw Balch (b. 1686 in Topsfield, Mass. – d. 14 Apr 1774 in Topsfield). Michael died 24 Dec 1761 in Topsfield, Essex, Mass. at the age of 91 in Topsfield. His will was filed on Dec 7, 1761 (Essex County Probate Index, file 8447) and proved on Feb 1, 1862 by Elijah Dorman, Joseph Mathew, and William Foster. His will, dated July 17, 1753. It was signed with his seal and mark. He left his wife, Mary, “the use and income of all the lands,” and also “one cow.” He left his son Michael 5 shillings, to be paid in 7 years after his own and his wife’s death. to his son Stephen, 5 shillings; his son Jacob 5 shillings; his granddaughter, Esther Balch, wife of David Balch, 5 shillings; son Benjamin, house and barn, and land and meadow in Topsfield, and all else, bonds, and books, debts, etc., to his wife. He also mentioned his daughters, Sarah Foster, and Mary, Hannah, and Abigail. All of his children were born in Topsfield where the family remained for this generation. They lived on Salem Street. According to the Topsfield Historical Collections Volume 11, Salem Street, extended Wenham Street then passed the “Dwinell Houses” and was about six hundred feet from the present road. The children lived in Topsfield at the same time as and were closely associated with the Aaron Estey family. Dunnel said “He was the first physician ever recorded in Topsfield, and is styled on old deeds as physician and chirurgeion. What were his medical studies previous to his acquiring his title are not known at this day.” He was a Yeoman. i. Benjamin Dwinnell b. 10 Nov 1726 Topsfield, Essex, Mass. ; d. 29 Jul 1805 in Keene, Cheshire, New Hampshire; m. 25 Feb 1750 in Topsfield to Mary Estes (b. 1 Jun 1730 in Topsfield – d. 5 Mar 1820 Keene, Cheshire, New Hampshire) Mary’s parents were Aaron Estey (1699 – 1783) and Esther Richards (1705 – 1805) Mary’s grandparents were our ancestors Isaac ESTEY and Abigail KIMBALL. Benjamin and Mary had ten children born between 1751 and 1772 all in Boxford. Benjamin and at least two of their older sons, Jonathan and Thomas, served in Massachusetts Militia during the Revolutionary War. He was a private on the muster roll of Captain Jacob Gould’s Company in Colonel Samuel Johnson’s Regiment of Militia which marched on the alarm April 19, 1775. The two companies of the Topsfield Militia left their plows in midfurrow and galloped off to Lexington and Concord to help drive the Redcoats back to Boston. They did not see active service on that day, however, as they arrived after the battle was over. In 1777 the Benjamin Dwinnell family moved to Keene, New Hampshire, so they were there for the majority of the American Revolution. Their children moved with them. Benjamin died on July 29, 1805 at the age of 76 years in Keene, New Hampshire. He was buried in the North or Court Street Burial Ground in Keene with his wife, Mary. ii. Thomas Dwinell b. 26 Aug 1729 Topsfield, Essex, Mass. ; d. 4 Jan 1734 – Topsfield, Essex, Mass; Elizabeth died exactly four months after Thomas’ birth on 26 Dec 1729 Topsfield, Mass. Ruth’s husband David Kilborn was born 12 Mar 1688/89 in Rowley, Essex, Mass. His parents were Samuel Kilburn (1656 – 1722) and Mary Foster (1662 – 1731). His brother Jedediah Kilburn married his wife Ruth’s sister, Susanna Fiske. David died 25 Oct 1775 in Sheffield, New Brunswick, Canada. Lydia, Ruth, and Samuel became a Shakers. The United Society of Believers in Christ’s Second Appearing were known as the Shakers. They were a Protestant religious sect founded on the teachings of Ann Lee. iv. Jonathan Kilbourne b. 15 Nov 1737 Rowley, Essex, Mass; d. 17 Aug 1806 – Lunenburg, Worcester, Mass; m. 22 Jul 1760 in Rowley to Elizabeth Nelson (b. 11 Aug 1737 Rowley – d. 25 Aug 1810 Lunenburg) Jonathan and Elizabeth had two children born in 1762 and 1766. The family removed to Lunenburg in 1767.
x. Ruth Kilburn Houghton b. 24 Feb 1747/48 married Thomas Houghton (b. 1745 in Leominster, Worcester, Mass – ); after he died she joined the Shakers; . Mark was the executor of his father’s will. In 1740, Lydia owned the covenant of the church. According to Fiske and Fisk Family by Frederick Clifton Pierce, after she died, Mark married Eleanor Porter Abbott on March 12, 1762. She was the widow of Nehemiah Abbot. i. Lydia Fiske b. 23 Dec 1739 Ipswich, Essex, Mass; d. Wells, York, Maine; m. 21 Sep 1761 Wells to Eli Clark (b. 16 Jul 1743 Wells, York, Maine – d. 1782 Wells). Eli’s parents were Samuel Clark (1703 – 1768) and Lydia Wells (1709 – 1768). Lydia and Eli had at least two children born in 1768 and 1769.
ii. Joseph Fisk b. 31 Jan 1741 Ipswich, Essex, Mass. ; d. 25 Jul 1837 in New Ipswich, Hillsborough, New Hampshire; m1. 21 Apr 1764 Ipswich to Eleanor Abbott (b. 15 Mar 1746 Ipswich – d. Apr 1766); Joseph and Eleanor had one child born in 1764.
m2. 29 Jan 1767 Ipswich to Sarah Margaret Hobbs (b. 31 Dec 1738 in Ipswich – d. New Ipswich, Hillsborough, New Hampshire) Sarah’s parents were Abraham Hobbs (1720 – 1786) and Sarah Brown (1716 – 1812). Joseph and Sarah had six children born between 1767 and 1778. 28 Oct 1763 – Mark Fisk & wife Eleanor of Ipswich, yeoman, sold to John Calef of Ipswich a certain farm, house, and barn lying in Linebrook Parish, Ipswich bounded by Joseph Metcalf, meadow of Capt Stanford & Daniel Rindge, William Hobson, Daniel Chapman, & County Road, 70 acres more or less. v. Susanna Fiske b. 10 Apr 1748 Ipswich, Essex, Mass; m. 9 Sep 1765 to Isaiah Wakefield (b. 29 Dec 1743 in Wells, York, Maine) Isaiah’s parents were John Wakefield (1700 – 1772) and Elizabeth Durrell (1707 – 1750) Susannah and Isaiah had at least two children born in 1766 and 1771. In the 1820 census, Abner was head of household of 5 in Wells, York, Maine. ix. John Fiske b. 1755 in Kennybunk York, Maine; d. 26 Apr 1825 Waterboro, York, Maine; m. Comfort Stover (b. 1752 in Wells, York, Maine – d. 16 Nov 1824 in Waterboro, York, Maine) John and Comfort had four children born between 1786 and 1815. This entry was posted in 10th Generation, Line - Miller and tagged Ipswich, Wenham Mass. Bookmark the permalink.